China’s Tiangong-1 space lab is no more. 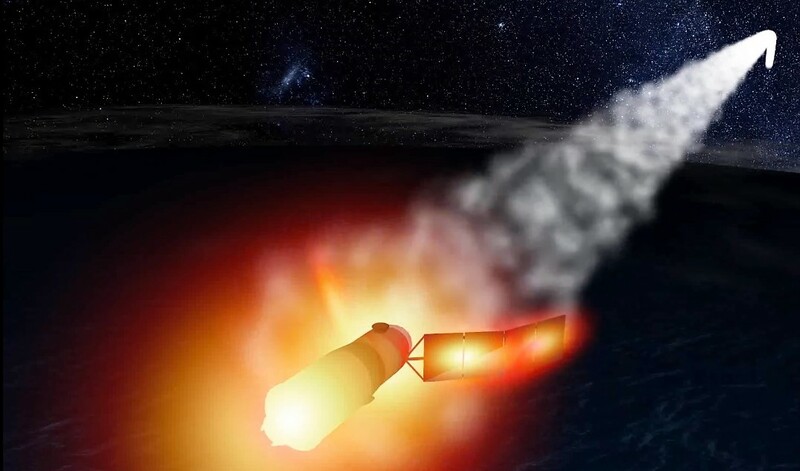 The 8.5-ton spacecraft re-entered the atmosphere at about 5:15 p.m. PT today (00:15 GMT on April 2) over the Pacific Ocean, and any pieces that survived the fiery plunge should have fallen into the central area of the South Pacific, Chinese space officials said. The U.S. military’s Joint Force Space Component Command issued a similar report, setting the time of re-entry at about 5:16 p.m. This entry was posted in GeekWire and tagged China, Orbital Debris, Space. Bookmark the permalink.